On Abbot Martin Road in Green Hills is a beautiful old building nestled in the lush growth of trees. It fits right in with the other houses of this upscale residential neighborhood. The appearance is so tastefully subdued that a person could drive by it a thousand times without realizing it is actually a civic organization, founded in 1905, called The Centennial Club. It's what used to be called a "ladies club." All the members are women who are unusually active and motivated to do something positive for their community. They asked us to play at one of their luncheons on Thursday Sept. 11. Minna Gioia, the event coordinator, told us "You all will play and talk for 45-50 minutes and then leave 5-10 minutes for question and answers at the end." She also invited us to stay for lunch afterward. We appreciated being treated with such graciousness. Going inside was like discovering a secret society. The building has the elegance of a country club, with an entry hall of polished marble and white columns. 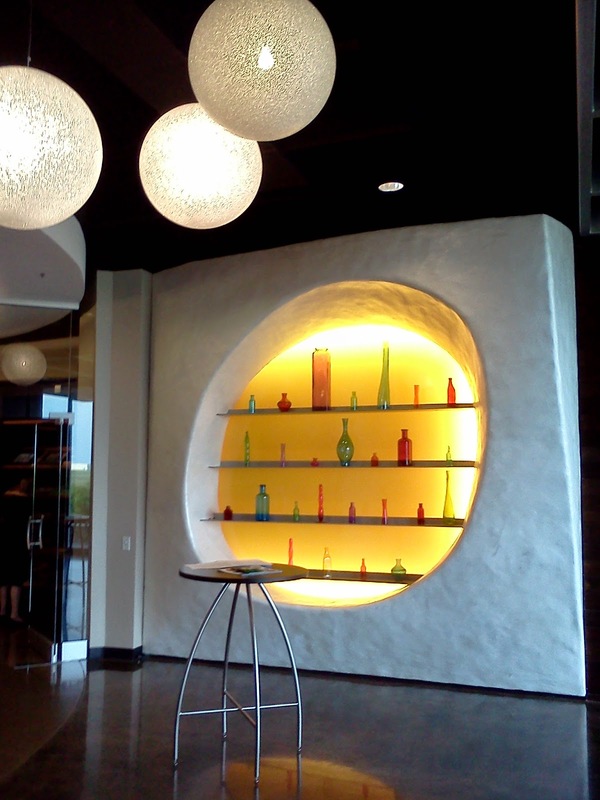 It's a beautiful place for receptions and events. The building has a large auditorium, and a lower level with rooms devoted to art classes. While we were there, a gardening lecture was happening in another room upstairs, with the door closed. Although the members are all women, certain staff members are male, like the man who helped us set up the stage and sound system. I ventured downstairs and saw a list of "Don't Miss" activities on their schedule. 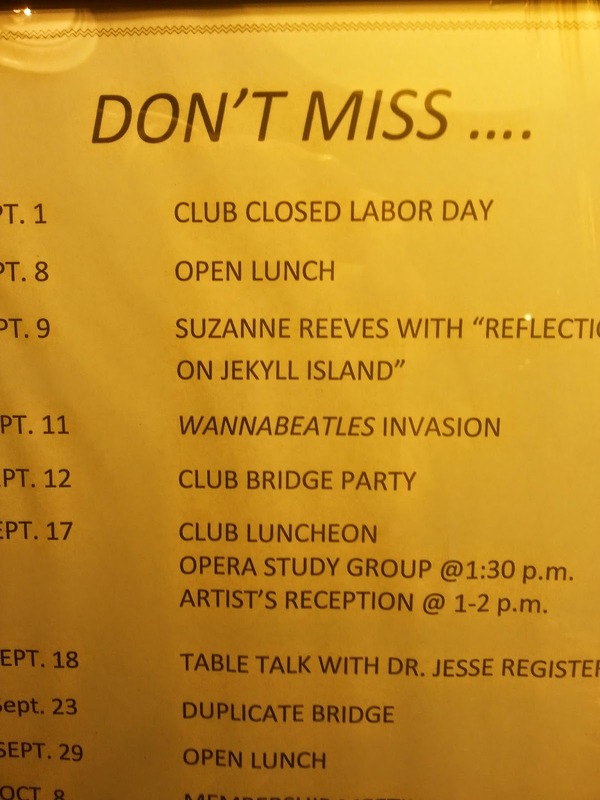 There we were, among the bridge games and lectures on opera, billed as the "WannaBeatles Invasion." If a picture is worth a thousand words, a blurry picture is probably only worth about a dozen, but this is the result of my beginning to learn how to use my new cell phone camera. 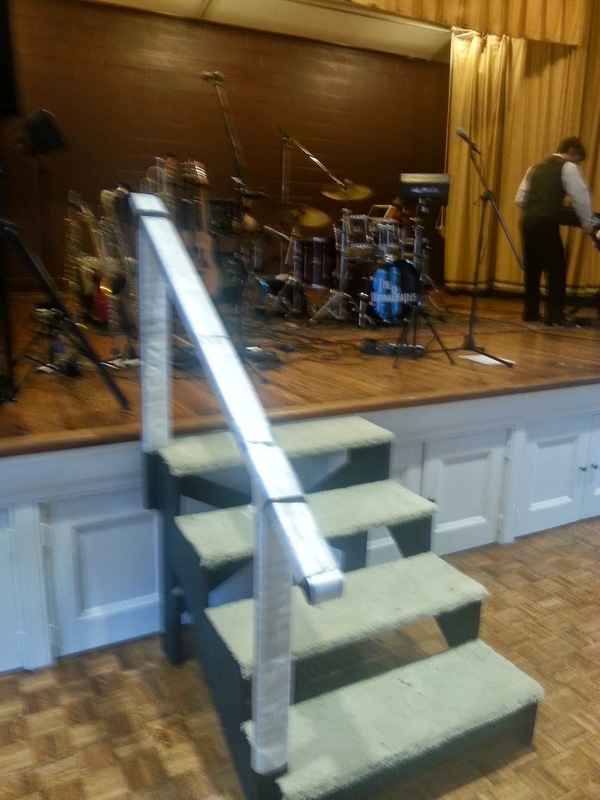 We worked with their stage manager to bring a set of stairs to the front of the stage, to facilitate the part of our show where I go into the audience playing a wireless electric guitar solo. We'll stop at nothing to entertain people. We were introduced by Minna and after the show, the ladies in the audience asked us questions, as if we were visited professors. And then they included us in their lunch, which was served there in the auditorium to everyone at their seat. It was an elegant affair, with linen napkins, featuring steamed asparagus and some delicious potato cakes. 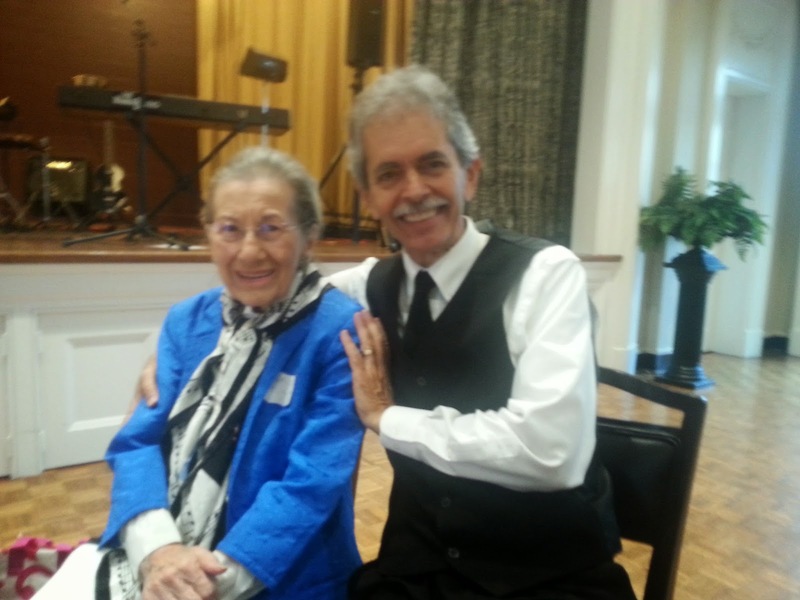 I was surprised to meet the mother of a friend, 92 year old Marion Couch. She is very active at the club, still participating every year in the Christmas show, wearing a Santa hat and appearing onstage to lead singalong crowds. It was inspiring to see such energy in someone who's 92. We set up our merch table in the lobby, and were overwhelmed by the response of the ladies who complimented us and bought our CDs on their way out. 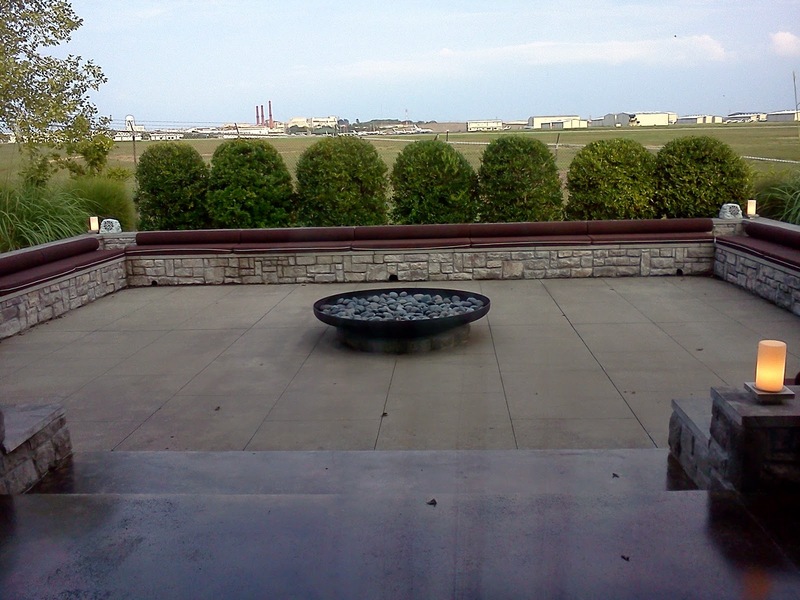 We had a great time at the Centennial club, and the ladies were exceptionally hospitable to us. We hope to see them again. Thanks Minna, for your hospitality. The word was out about Oz Arts, a new facility in west Nashville with an exciting schedule of performances from nationally known artists, dance troupes, film-makers and collectives. 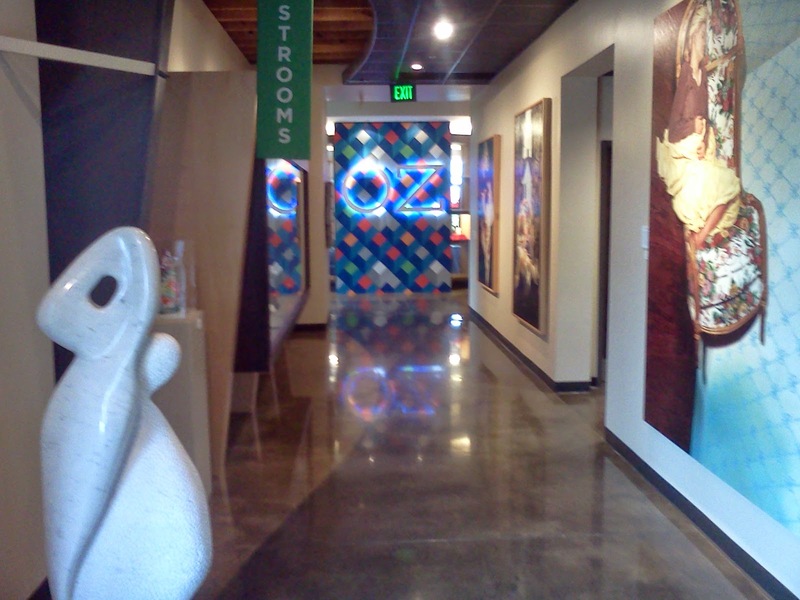 According to The Tennessean, Oz was "among Nashville's most intriguing - and inspiring - cultural venues." 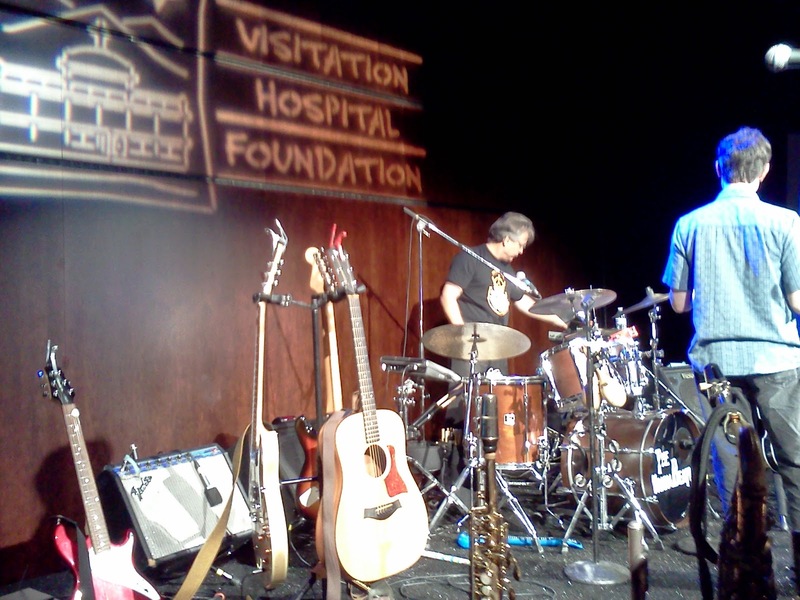 It's also an excellent event space, and when Visitation Hospital Foundation hired The WannaBeatles to play their Fund Raiser on September 6, we got our first visit to Oz. The place looks like a large warehouse, a metal building in an industrial neighborhood adjacent to the John C. Tune Airport on Cockrill Bend Circle. One thing you notice inside is a great amount of art. There are art courses taught there, pottery classes, art projects in collaboration with local prisoners, and lots of paintings on the walls. Some of the paintings were direct tributes to famous pieces of art. 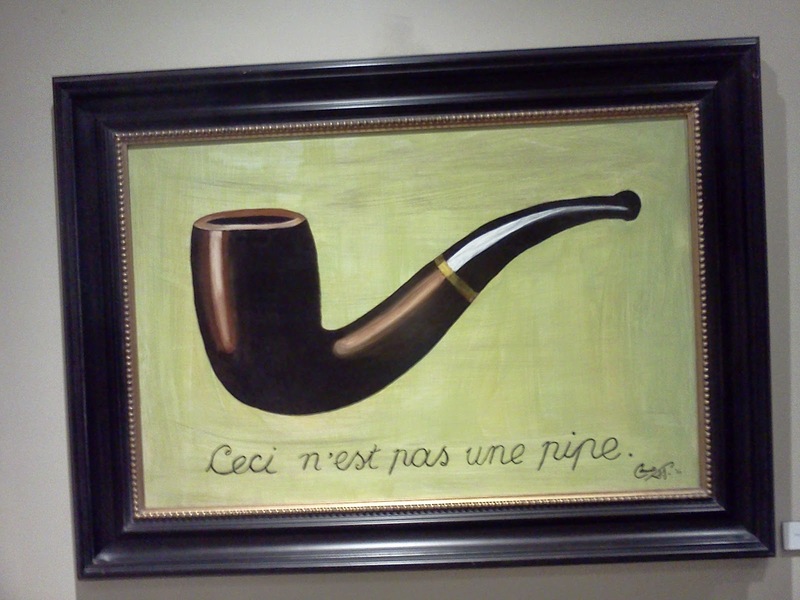 This tribute to Magritte caught my eye, not only for its humor and nod to modernism, but also because the founder of Oz got his start with pipes. 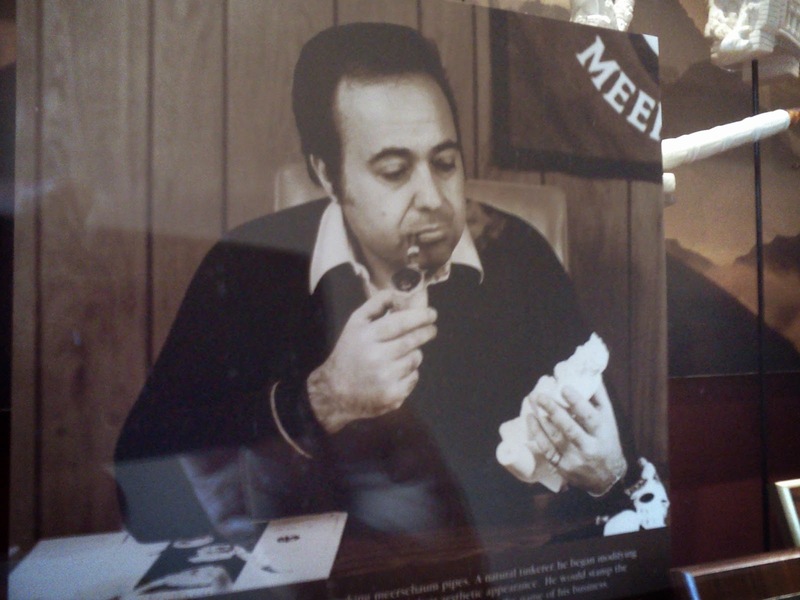 Here's the younger Cano Ozgener examining a carved pipe, from the pictures displayed in cabinets along the wall. 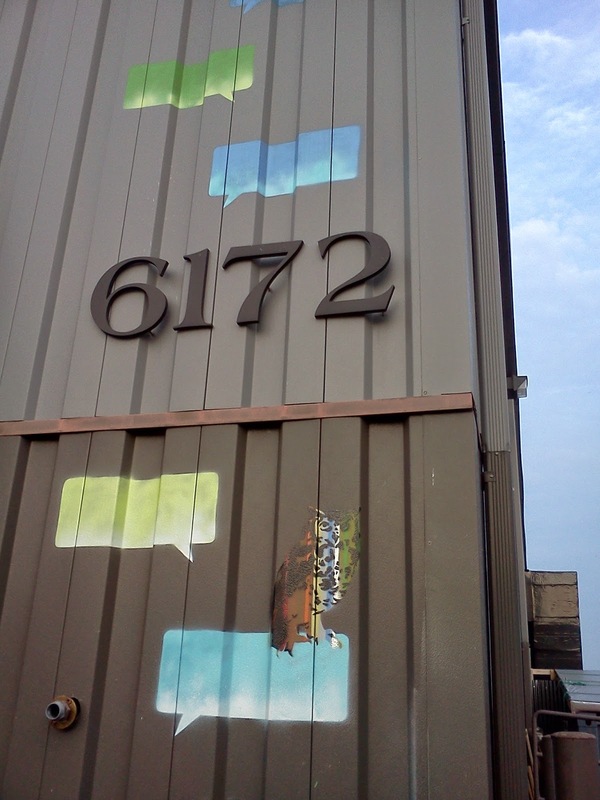 After selling the cigar company, the Ozgener family founded OZ as a non-profit art space and event center, using the space that formerly housed the cigar company. 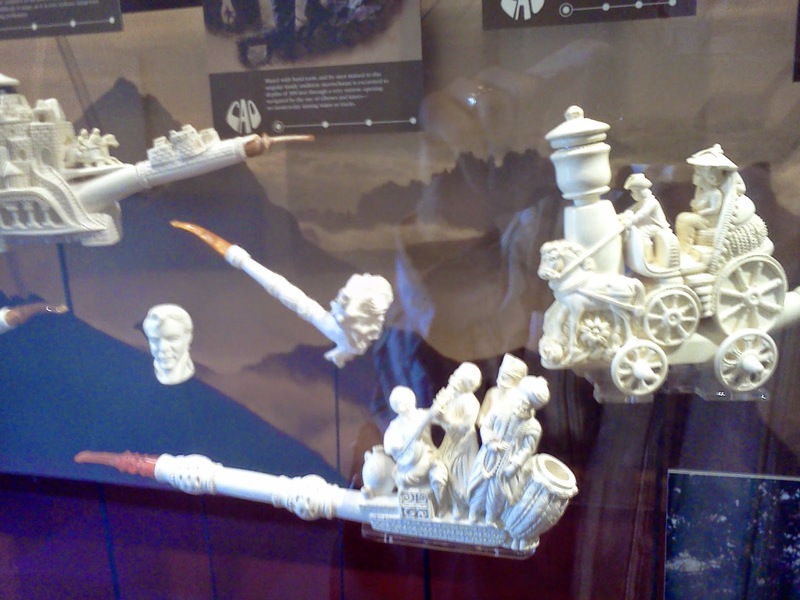 Much of this fascinating story is told in glass display cabinets in the entrance hall, and also at their website, http://www.oznashville.com/. The Visitation Hospital Foundation is a non-profit that sponsors a health clinic in Haiti. They were hosting a dinner, honoring a valuable board member, having a silent auction, and then enjoying Beatles music and dancing after dinner. 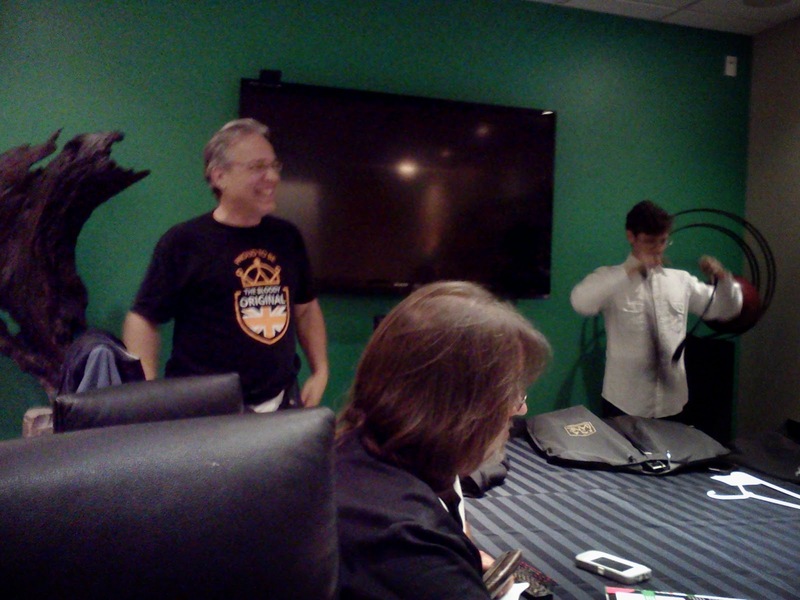 We were given the board room as a dressing room. It had a large table surrounded by chairs, and a large wooden sculpture in one corner. One wall was decorated with an elaborate color scheme, accompanied by a notice that explained the specific length and color of each piece on the wall. There was one classic moment when David asked Dennis about whether we'd be eating dinner, and Dennis immediately assumed the role of The Godfather, and in that famous raspy voice, gently reassured us how we could always depend on him to deliver. David, Allan and Nathan in the dressing room. You can see from the smile that Dennis's act was getting across. We had a professional crew doing lights, our good friend Allan doing sound, and it was a great evening in a fascinating place. Nathan had an old friend who arrived in Nashville that night, and came to our gig. He and Nathan had spent summers together in Vermont, enjoying the swimming holes and all the fun things kids do up there. 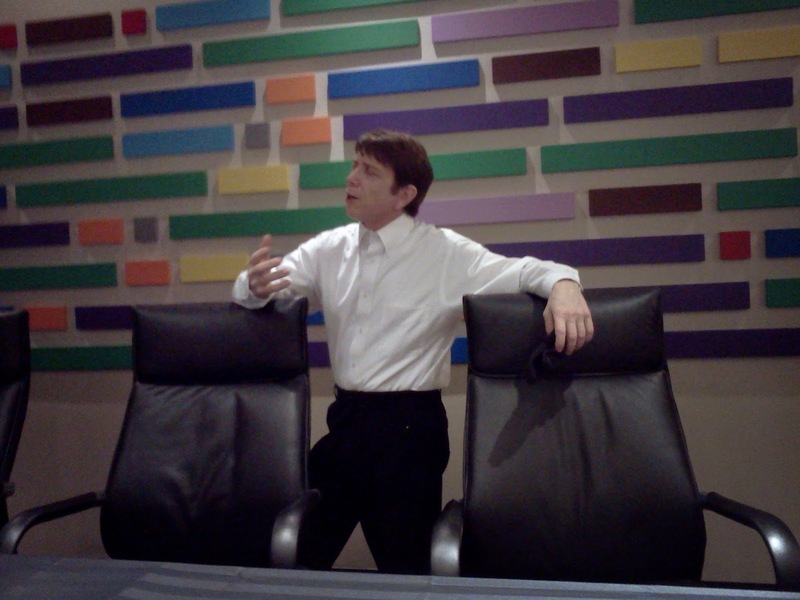 John is now a banker in California, and had a conference to attend in Nashville, and used the opportunity to connect with an old friend. There were many other people, names, and enjoyable sights in that creative place, so The WannaBeatles enjoyed our visit to Oz, and hope to return. 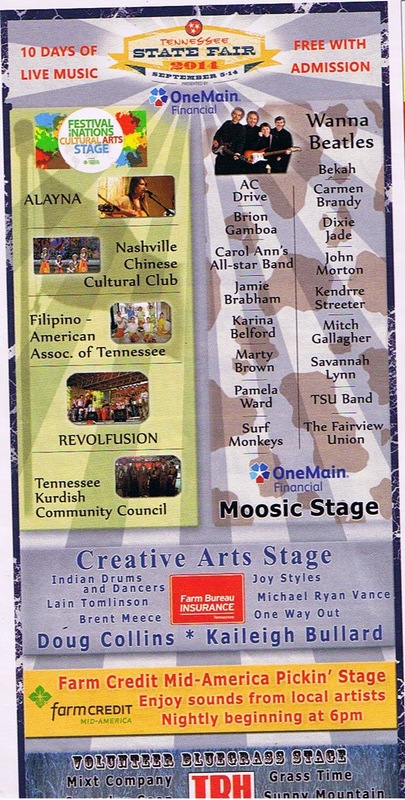 On Sept 5, The WannaBeatles returned to the "Moosic Stage" at the Tennessee State Fair, right between the Corn Dogs and the Pig Contest. It's an annual tradition, underscored this year by the surprise of seeing our photo in the Nashville Scene. There's no other gig quite like the State Fair. This year it was more complicated than usual getting to the stage, with a variety of possible entrance gates, new concrete barriers preventing the passage of golf carts, and different people calling each other on walkie-talkies keeping the lines of authority sufficiently blurry. Getting to the stage became such a guessing game that, during one of my cell phone calls updating my progress, Nathan announced his intention to take my photo when I finally arrived. It also rained briefly, but the stage was under a tarp, so that was not a big deal. We got our gear set up, and our merch table too, this time overseen by our friend Jill Peek. While setting up, we were approached by a woman who wanted to borrow a microphone from us. Her name was December. She told us she was calling the Pig contest, and both her microphones had stopped working. Dennis became the Good Samaritan, lending her a microphone and cable from our supply, so that she could go on with her own show. We were glad to make our small contribution to the animal entertainment portion of the fair, and glad to see our microphone again when December returned it to us. The Moosic stage is set up facing wooden bleachers for the audience. We were glad to see a few fans among the crowd, wearing WannaBeatles tee shirts. As previously mentioned in this blog, The WannaBeatles appreciate the support of local Beatles authority Richard Courtney. We have a banner with his name on it which we display when we can. 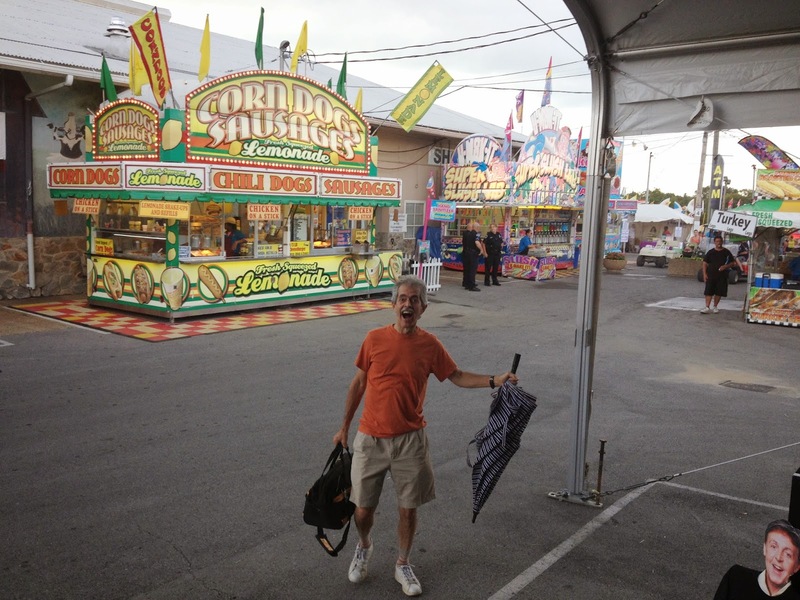 At the State Fair, the stage setup didn't allow for it, but we were happy that night that we sold two copies of Richard Courtney's book, "Come Together: The Business Wisdom of the Beatles." 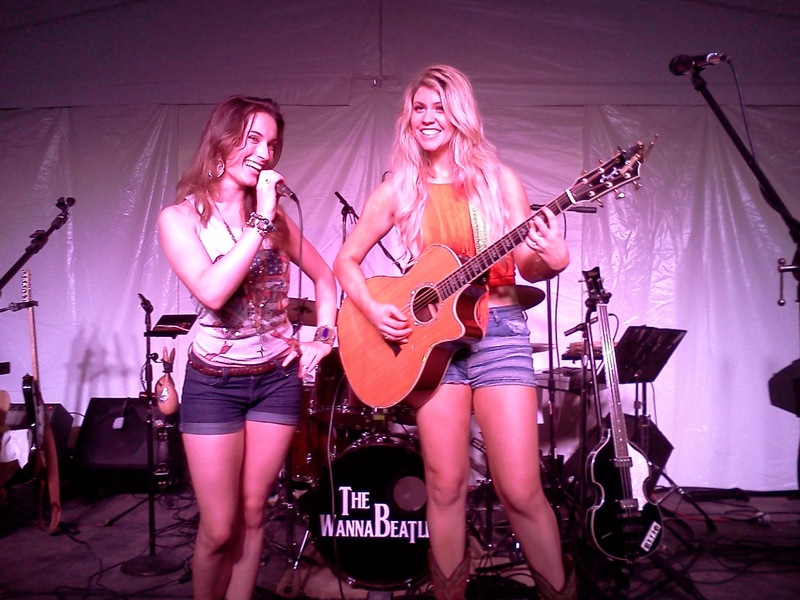 We also got to meet a new group, a female country duo called Dixie Jade, who performed brief sets between our sets. They were very professional performers, good singers, singing good songs they had written themselves. Turns out they're from California, but they're here giving Nashville a very good shot. We ate our pizza and funnel cakes, and gave the crowd a good show. It's good to be part of a great American tradition, at our own local fairgrounds. Thanks to the Scene, our friends Richard Courtney and Jill Peek for all their support, best wishes to our new friend December, and keep an eye out for Dixie Jade. And stay tuned for blogs about the other fun gigs we did in September. During our trip to Virginia, we received a call from our friend Kent Burnside, who told us about a fund-raising event, to be held the following Satruday, to help a family whose child was afflicted with a debilitating disease called epidermolysis bullosa. Kent was calling on behalf of Gary Talley, a well known local musician, guitar teacher, and pop music veteran (the Box Tops) who knew the family. In speaking to Gary, we saw he was deeply moved by the situation, and motivated to help, so we felt compelled to offer our support. 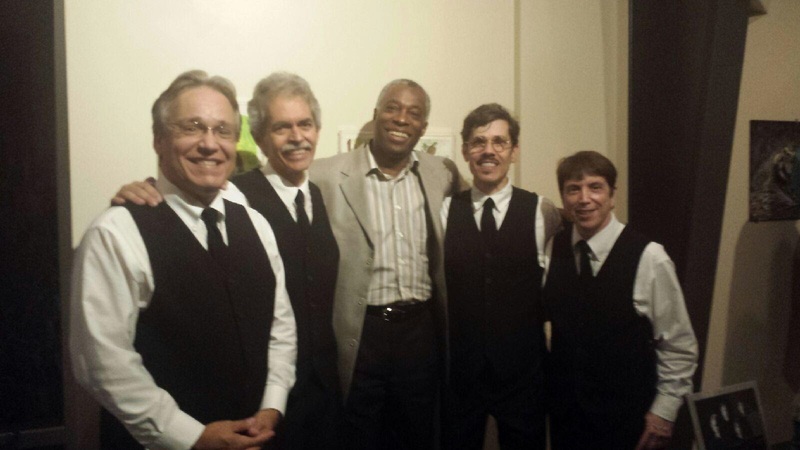 That meant making a commitment to appear the following Saturday night, along with Gary, and several other performers, at La Hacienda in Franklin. 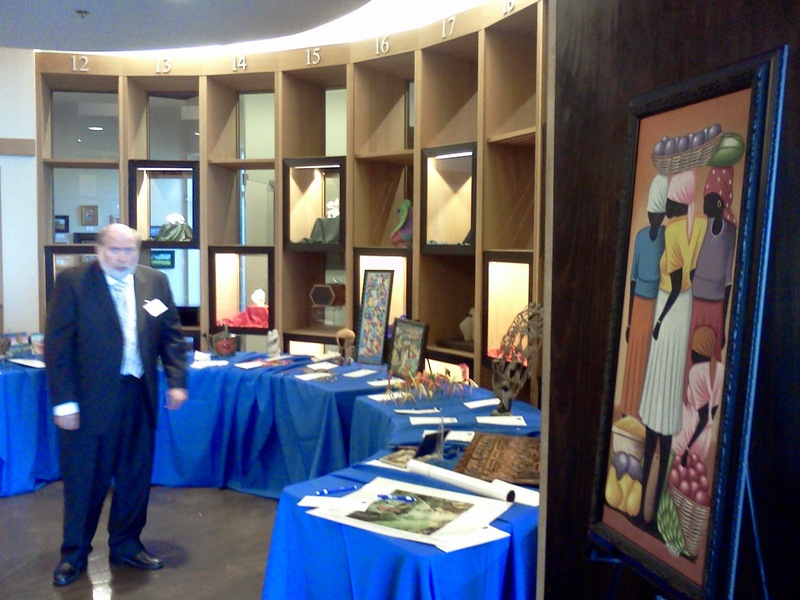 The evening included a silent auction, along with several bands playing to help raise money. The situation meant scaling down our expectations a bit. Gary took care of the backline, which meant that drums and amps would already be set up. That meant we could do an abbreviated set, with Nathan playing only bass. It was a rainy night. But there was a good turnout, and plenty of old friends. 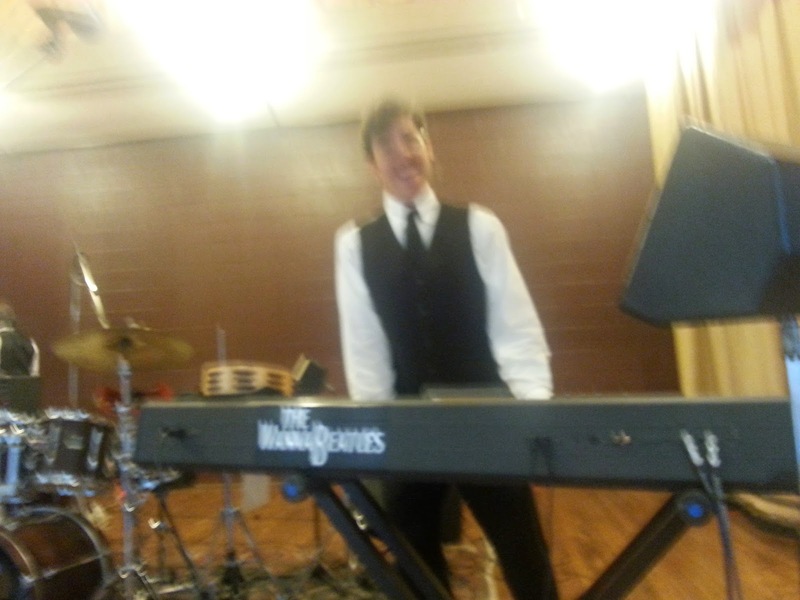 The main one for us was Jim Hayden, the original keyboardist for The WannaBeatles. 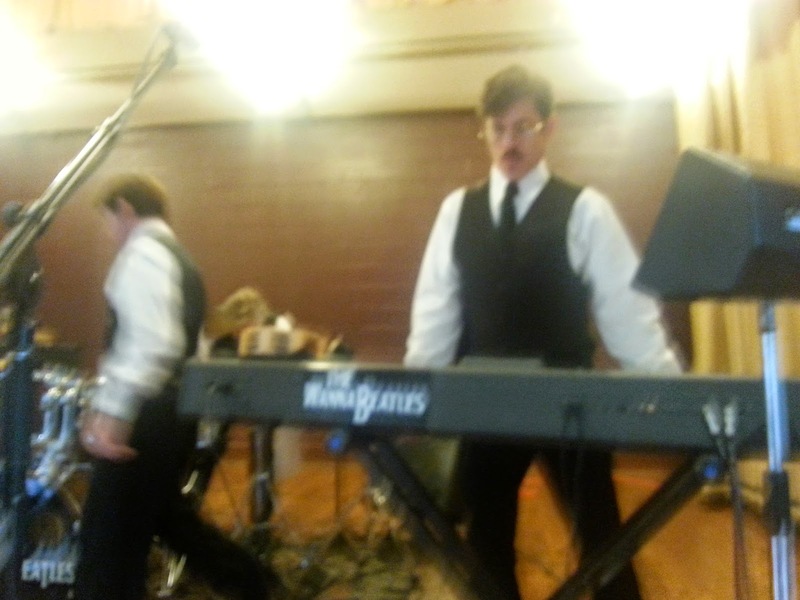 Jim has been playing around a lot, as a solo pianist and a member of his original band Peter Pandemic. He also plays in a duo with guitarist Larry Winslow, and they performed at La Hacienda that night, doing a selection of very tasty pop songs, like Todd Rundgren's "Hello It's Me." They also had Wanda Shepherd, of The Chill Band, joining them onstage singing and playing flute on "California Dreaming." We were delighted to see Jim, and he was delighted to see us. We sang along during his set, and he danced during our set. Thanks to Michael Shumate for these photos! We also appreciate Gary Talley - not only a fine musician, with a generous heart, but also providing lots of technical support throughout the evening. I got to play through his Line 6 guitar amp, and I'd love to try that again some time. Other friends attending that evening included Barb Deniston from Hippie Radio and Laura Hill from The Jam Camp. We're glad we could participate. 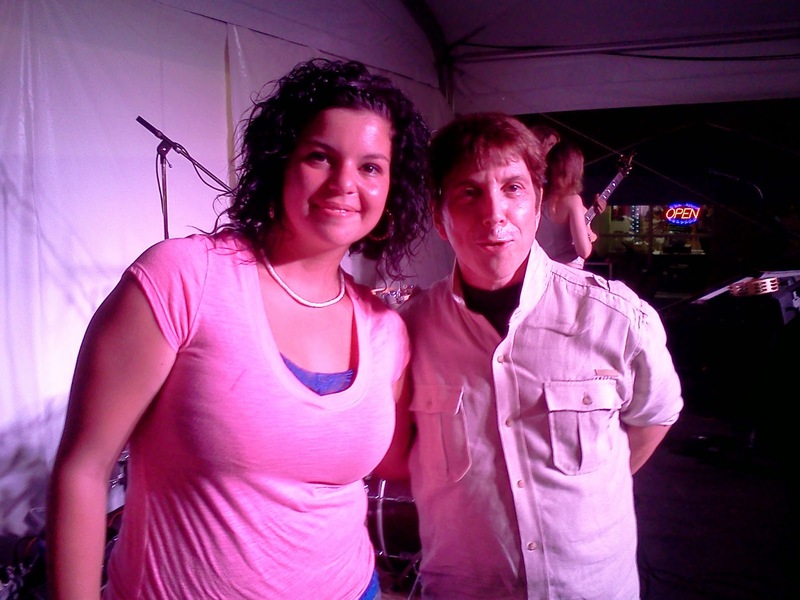 Thanks to Gary and La Hacienda for making the EB Awareness Benefit Concert a reality.